The New DM Series have a simple and modern design, it also has two rubber bands at two sides for a soft and grip it tight easily. With the big and backlight LCD, you can read the measurements in bright sunlight or in dark places. With the extendable pin, you could measure the gap or add the deep of holes with only few clicks, plus the NEW FAST MEASURING ENGINE, you can measure faster and be accurate. Easily to measure the gaps between objects by adding the length of the extendable pin. Attached the pin into the gap and tap the measure button, you will get the correct length you need. And you can put the pin back just with one clip. 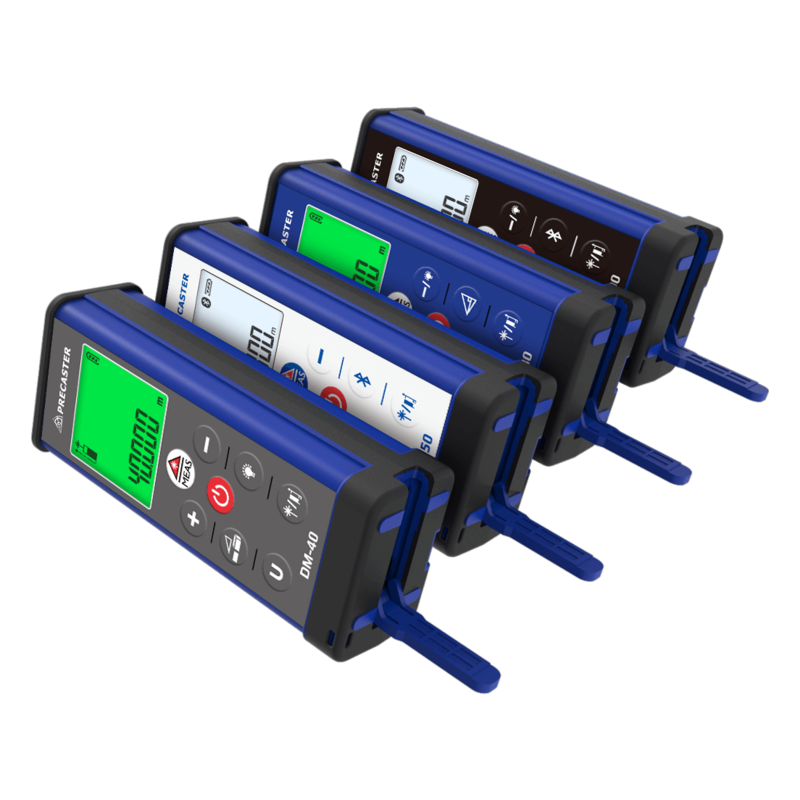 DM100 has Bluetooth to work with you, the free ideal APP – Precaster Measure Cam can be installed on your iPhone or Android phone, transferring your measurements to your mobile and displaying the value on the image you took. Also, the add-on Angle Sensor can get the height easily by tilting your LDM to a preferred angle. Then, just simply press measure, it will shows the angle right away.